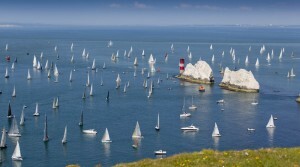 Boats meet the traitorous Isle of Wight landmark, The Needles. Navigating around their sharp and jagged rocks will be no easy feet. 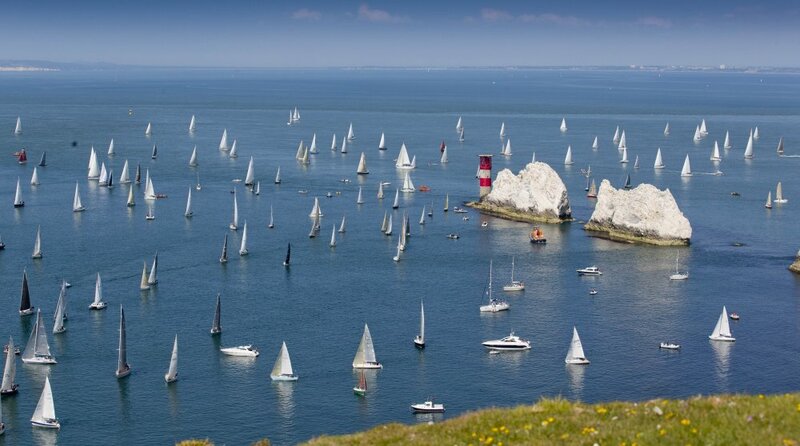 All eyes firmly on the JP Morgan Asset Management Round the Island Race 2014.